Organisations striving for reliable and secure hybrid IT environments can now benefit from the flexibility of the cloud-based Flowmon Collector. It is the first full-blown NetFlow/IPFIX appliance on Amazon's AWS Marketplace. The product delivers features for collection, reporting, analysis and troubleshooting network traffic. According to Gartner, adopting hybrid infrastructures enables organisations to optimise costs and increase their efficiency. Yet, it also adds to the complexity of selecting the right toolset to deliver end-to-end services in a multisourced environment. Gartner predicts that by 2020, 90% of organisations will adopt hybrid infrastructure management capabilities. "When the mixture of on-premise, edge and cloud infrastructure becomes mainstream, ensuring the reliability, availability and security of the network across all platforms, is a must for smooth business operations," says Pavel Minarik, Chief Technical Officer at Flowmon Networks. "The availability of Flowmon Collector on the AWS Marketplace empowers customers to leverage the flexibility of cloud delivery for the centralised monitoring of their hybrid environments. All IT teams have actionable information to optimise workflow and ensure fast incident resolution to minimise business impacts." Flowmon now offers a full range of financing options, varying from hardware to perpetual licence to subscription. Customers are also provided with full flexibility in choosing whether they want to host their network monitoring and analytics solution in cloud or on-prem as virtual or hardware. If they prefer cloud delivery, they are ready-to-go at no additional costs. Flowmon Collector AWS enables network traffic monitoring in an AWS environment without the necessity of other appliances for generating network statistics (NetFlow v5/v9, IPFIX and other flow data). Flowmon cloud monitoring capabilities via ERSPAN or vTaps also allows organisations to have full control over the entire east-west traffic of their hybrid IT landscapes from a single pane of glass. Thanks to its hyper-scalable network analytics design, allowing the monitoring of almost unlimited bandwidth, the solution grows with the organisation's needs. 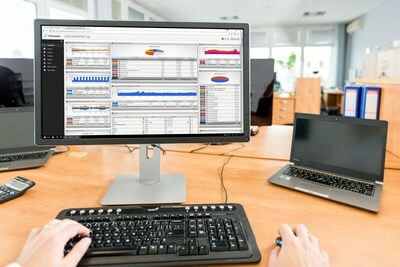 The Flowmon solution delivers IT operations and security teams capabilities for effective identification of network degradation, quick troubleshooting of incidents, reporting, capacity planning as well as detecting unwanted anomalies and cyber threats bypassing perimeter and signature-based solutions. Flowmon Collector AWS is available in bring-your-own licence mode. Licences should be purchased via Flowmon channel partners.